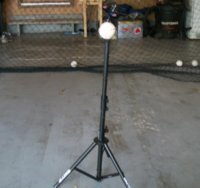 If you have ever played baseball you know there is nothing like hitting the baseball hard in a game and getting a hit. You swing hard and feel the baseball hit the bat. You look up and the ball is a line drive thru the infield. You are flying towards first and you see the first base coach waving his arms to go to second. You pick up the baseball again and see that you can stand up going into second. And an even greater feeling is watching the baseball fly over the fence for a home run. Everybody stops what they were doing and waits for you to circle the bases. Not many baseball players are good enough to experience that feeling. Lots of things have to go right for a home run to occur. But that does not stop many youth hitters from trying to hit the baseball out of the park. And they are pretty easy to recognize. The first thing that will catch your eye is the back shoulder dropping and you see this big upper cut swing. What really happened is the batter first dropped his hips, and the shoulder and hands followed. In this batter’s mind hitting the baseball means trying to launch it into orbit. He is taking an exaggerated shift to his back leg, dropping his hip, shoulder and hands. He probably is also wrapping the bat around his head and taking a long swing to the baseball. This is about as far from the perfect baseball swing as a hitter can get. 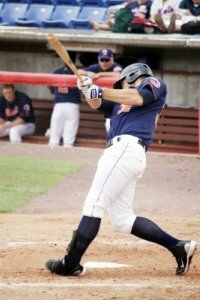 What the batter should be doing, which is the perfect baseball swing, is loading up on his back leg, taking a comfortable stride towards the ball and swinging with a small uppercut. Yes, a slight uppercut, one that is about 15 degrees. But we usually tell young players to try and swing level. They don’t understand that 15 degrees is a very slight uppercut. So just to be safe while they are young tell them to try and swing level. The baseball batting tee is one of baseball’s greatest inventions. 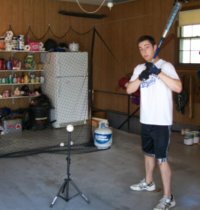 Not only does it allow kids to start playing some form of baseball at a younger age, it also is the best hitting aid tool. 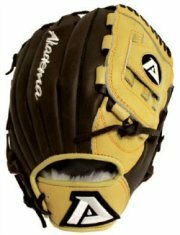 Put the batter with the bad uppercut swing into a cage hitting off the tee. Let him take his first few swings without mentioning his uppercut. Trying to hit a baseball off a tee with an uppercut swing is very hard to do. After he swings a couple of times and either misses the ball or knocks the tee over, then start talking and repairing his swing. Start with his hands. Have him concentrate on keeping his hands held high, as high as his chin. It is tough to drop your shoulder and keep your hands held high. Just keep having him hitting the baseball and watch his hands and shoulder. While you have got him hitting off the tee and working on his swing, check out his back elbow. He should start his swing with his elbow down, not up like many people teach. You have to have your elbow down to get a good swing on the ball, so why have a wasted motion of dropping your elbow. Whenever we are talking about hitting baseball tips we need to mention that in the perfect baseball swing the knees should be slightly bent. The right amount of bending is whatever makes the batter feel comfortable. However, bending the back knee more than the front knee will also lead to an upper cut swing. The knees should bend the same amount and in unison. If the batter with the uppercut swing has a long stride in his swing, have him shorten it. It is much easier to keep a swing level with a short stride. Once he has leveled out his swing and wants to go back to the long stride that is ok.
Just remember to be aware of the tendency to uppercut with a long stride. 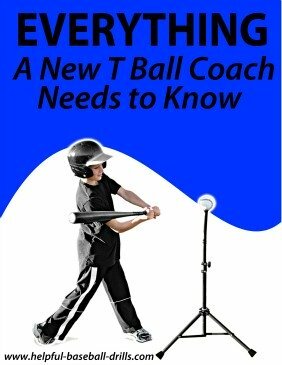 Watch his batting mechanics closely when he is hitting. An uppercut swing might produce a good hit once every twenty at bats, at best. But that is the problem; the batter wants that result so badly he will risk striking out again and again for that one home run. So besides fixing the uppercut swing, you also have to adjust the batter’s hitting approach to every at bat. And that can be harder than fixing the swing.